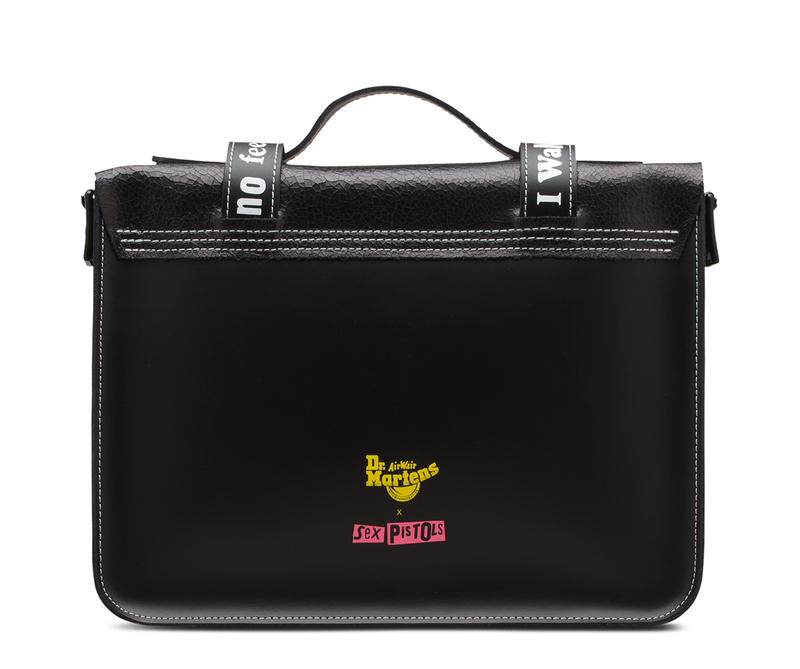 This 13" satchel is crafted from the original hardwearing Dr. Martens leather and a crackled suede, and is constructed with all the iconic Docs durability. 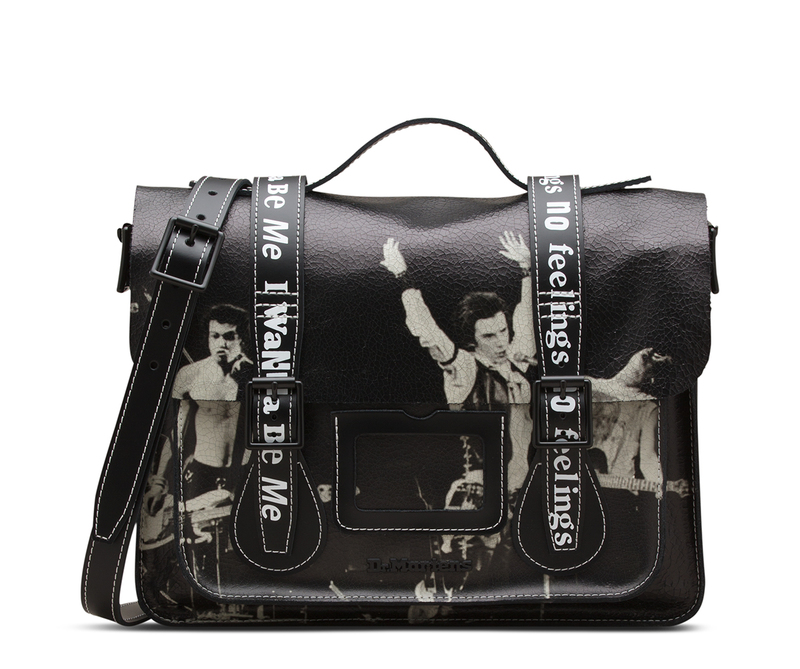 Emblazoned with a picture from a live performance — plus straps printed with song lyrics — you can the satchel over one shoulder, or crossbody. But no matter how you rock it, this roomy bag is ready for whatever the day brings.